Zonal Pelargonium "Jips Freda Burgess"
Single zonal pelargonium "Scottow Star"
This is, I think, one of the prettiest of the single zonal pelargoniums. 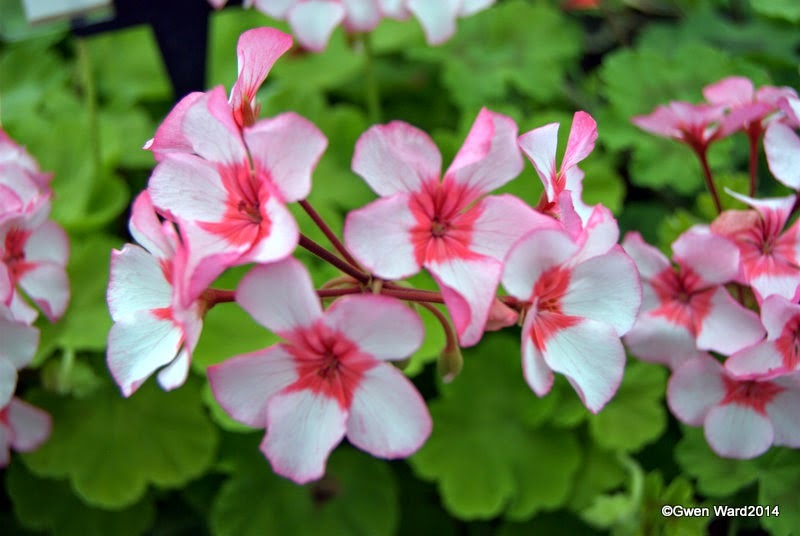 "Scottow Star" has white petals edged with pink and a darker pink centre 'eye'. The back of each petal is also a pale pink. The flowers contrast nicely with the light green zoned leaves. "Scottow Star" was raised by Keith Clouting of Norfolk, UK. Scottow is a small village in Norfolk.